I am a big fan of science fiction, especially when it mixes old school cyberpunk and other interesting things. 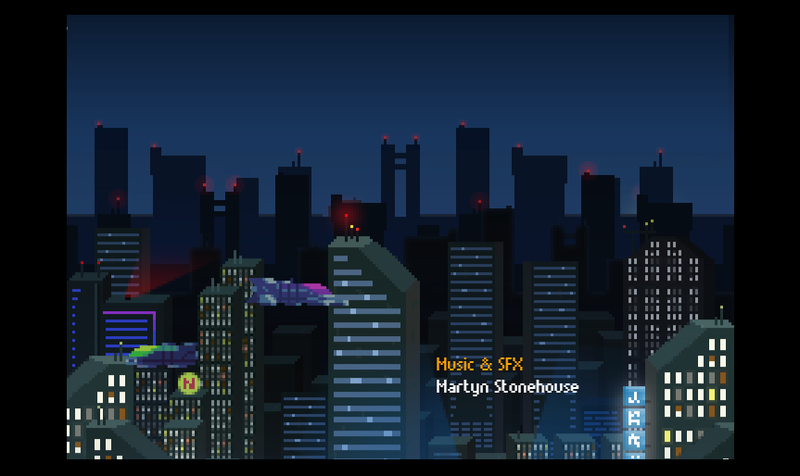 Imagine putting together some of these themes with a first-rate synthwave soundtrack, plus sensational sprites along with a point-and-click style game mechanic mixed with a cool storytelling! Got the picture? That's what you'll see in Massive Galaxy, a promising game that is under development by Massive Galaxy Studio in Portugal. It is an indie game that gathers a series of features just right for making a very interesting bet for 2018. I've had a small alpha version of this game on my hands and I must confess that I got very enthusiastic about it. It's already on my 2018 wishlist. This article is not quite a review since the demo was very short, it is a preview with some impressions of a game that, as I said, pleased me a lot. Let me tell you a little about what we can expect from this title and some very interesting points of it. 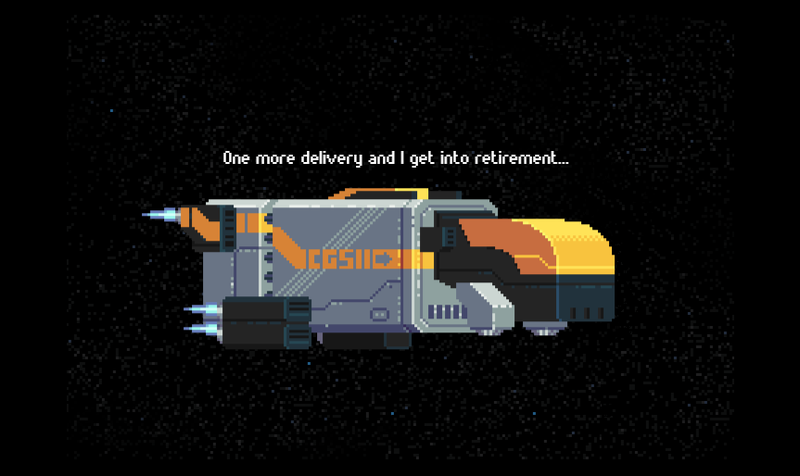 In Massive Galaxy, you live the adventures of Lev. B Aneleh or Lil. B Aneleh, who is about to retire, and sees his freighter being destroyed for carrying an unauthorized cargo. You wake up weeks later in a recovery center room and from there you start your new adventures throughout various missions. 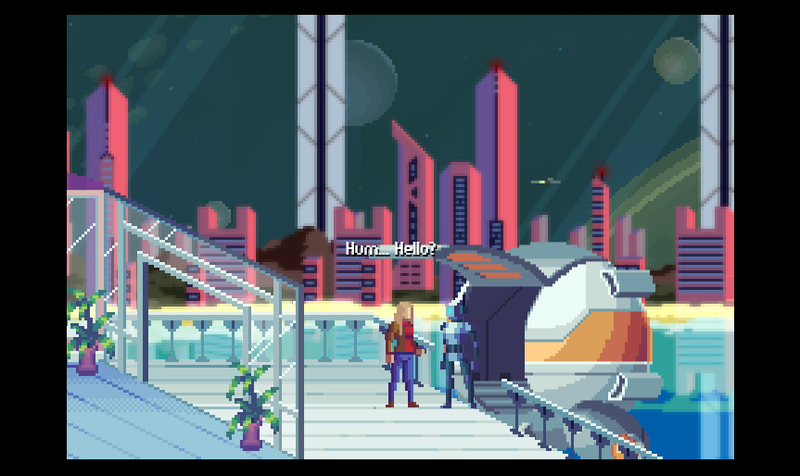 The look is based on 8-bit sprites, reminiscent of the old Sierra games (Space quest, Indiana Jones,), but with an exceptional level of quality. The game has a very beautiful look, plus a charming sci-fi atmosphere. 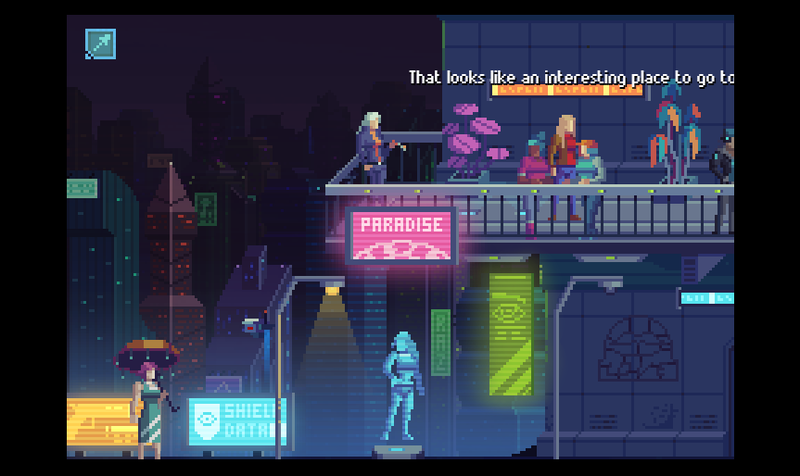 Many references can be seen and the developers have picked the best from many different sources like Blade Runner, Neuromancer, among others, besides references to books and many other films. Another point that drew a lot of attention is the soundtrack. I'm a big fan of electronic music, mainly Synthwave, and in Massive Galaxy, the soundtrack is sensational (will the game OST be sold on iTunes?) And it gives a unique atmosphere to the game. The CUT-scenes reminded me of the openings of several sci-fi TV shows and I must confess, that made me "travel" a lot. I can say that the quality and seriousness of the work done in the Massive Galaxy is, without a doubt, far superior to several games of great studios. Congratulations to the game team! 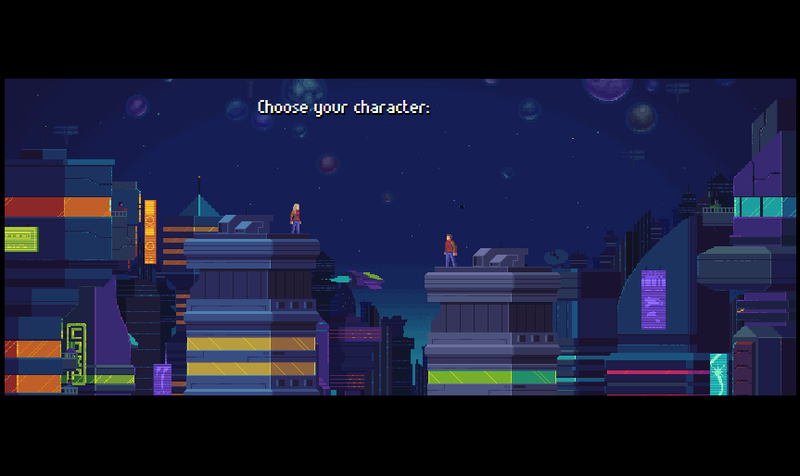 The game uses point-and-click mechanics as well as a classic dialog system. This system is the basis for solving several puzzles and receiving new quests. In the demo, I took an initial quest, which served to show the potential of the game. 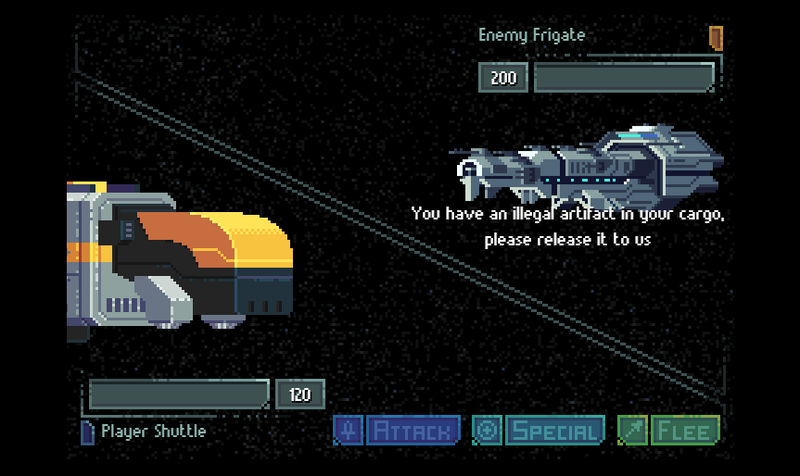 I was very curious about the combat system of ships, since, at first, I had a small sample of what it could be. The question I was left with is whether my ship can be improved in the future and what other interesting things might come up. 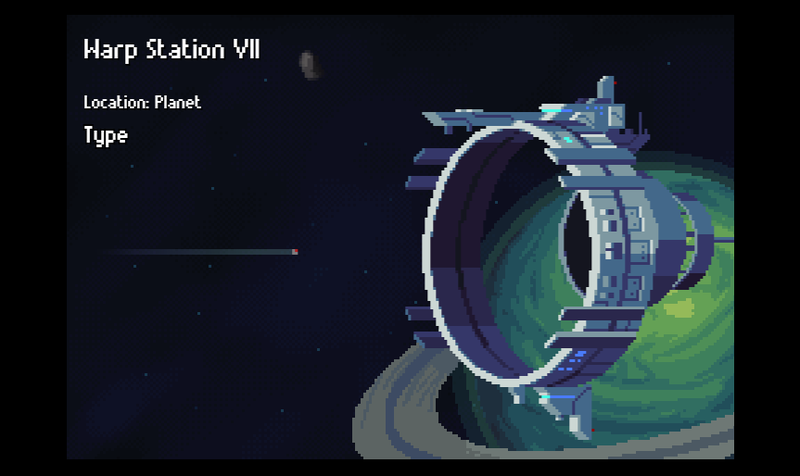 The navigation between systems is a great promise of the game, unfortunately not yet available on this demo. I'm following the development closely and checking out the screenshots and I'm already getting quite anxious about what is coming next. The narrative is also promising and it seems to be very solid. I hope that, as the game unfolds, a charismatic character emerges for the perfect matching of good game dev quality and excellent storytelling. The good stories are the ones that stick to your mind (do you remember Purple Tentacle?). This little preview/review is just a sample of what to expect from Massive Galaxy. I am happy to see a studio from Portugal (yes I am Portuguese and with relatives in Brazil) doing such a careful and good quality work in terms of game development. I think the sci-fi spirit is all over this game, as well as I said before, a sensational 8-bit visual, along with a first-rate soundtrack. If you're a fan of this style of play, you definitely want to stay tuned to find more about this title. It has all it takes to be one of the best of 2018! Looks very promising! 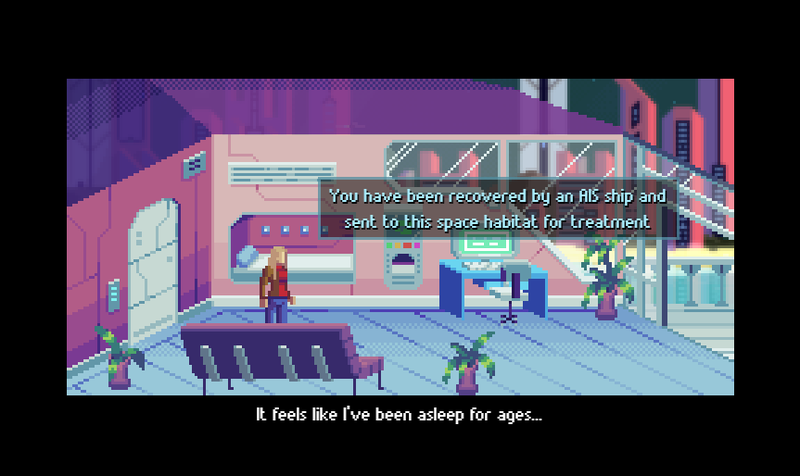 I like the Point&Click adventure approach. Space trading & FTL combat; an ambitious mix! Quite an ambitious palette, as well. Clever choice of resolutioin. Shoutout to indiewatch: you´re doing a great job, thank you!